Which food would taste the best on Spongebob? I made this series a long time yang lalu and forgot about it. So im re- uploading the series and will post as many new chapters as i can! This story has a lot of themes and story similar to Gravity Falls. It will have some similar plot points of other Spongebob episodes but with my own twist on the series with a mysterious turn! Hope anda all enjoy! Blossom and her sisters, Bubbles and Buttercup were enjoying a day-off from crime fighting at the sea, water ski with Blossom manning the boat. Buttercup: [sighs annoyed] Seriously Bubbles, how many menit have anda been uttering all those Hawaiian phrases? Bubbles: Umm... Ever since we went to this ocean to have our day-off fun. So it might be 9 menit atau less. SpongeBob SquarePants is an American animated televisi series created oleh marine biologist and animator Stephen Hillenburg for Nickelodeon. The series chronicles the adventures and endeavors of the judul character and his various friends in the fictional underwater city of Bikini Bottom. The series' popularity has made it a media franchise, as well as Nickelodeon network's highest rated show, and the most distributed property of mtv Networks. The media franchise has generated $8 billion in merchandising revenue for Nickelodeon. 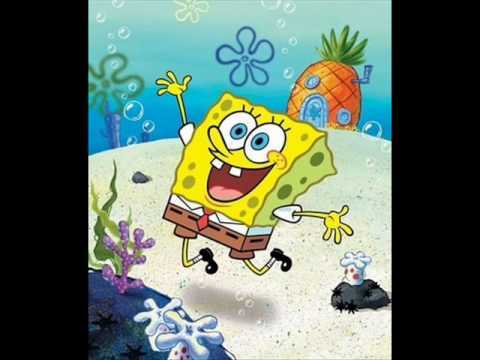 a comment was made to the poll: What's your favorit rant of Spongebob's? a pop quiz question telah ditambahkan: Does Squidward have any brothers atau sisters? a pop quiz question telah ditambahkan: Does SpongeBob have any brothers atau sisters?